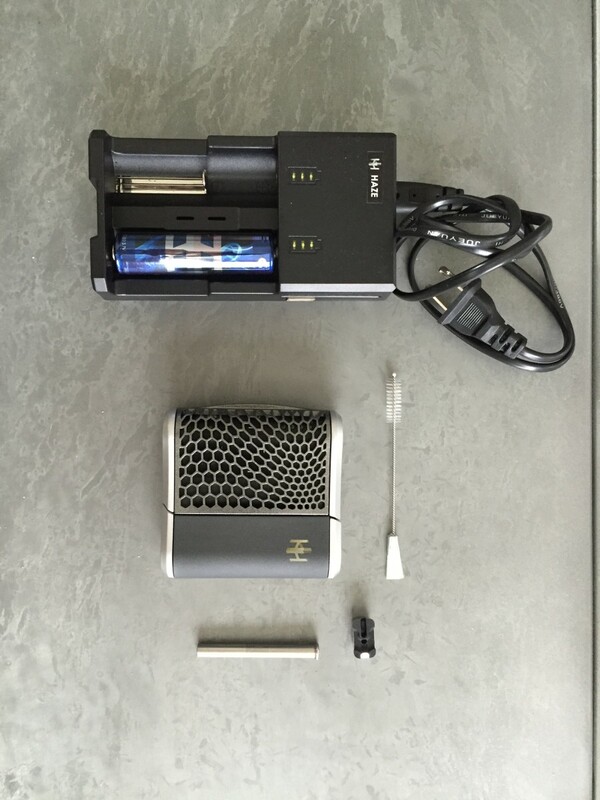 After opening the box, it became very clear that this was unlike any vape that I&apos;d ever seen before. It kind of looks like a communication device from Star Trek on first glance, not something you would pull husky clouds of vapor from. After messing around with it and yes, actually reading the instructions, it was pretty easy to figure out. 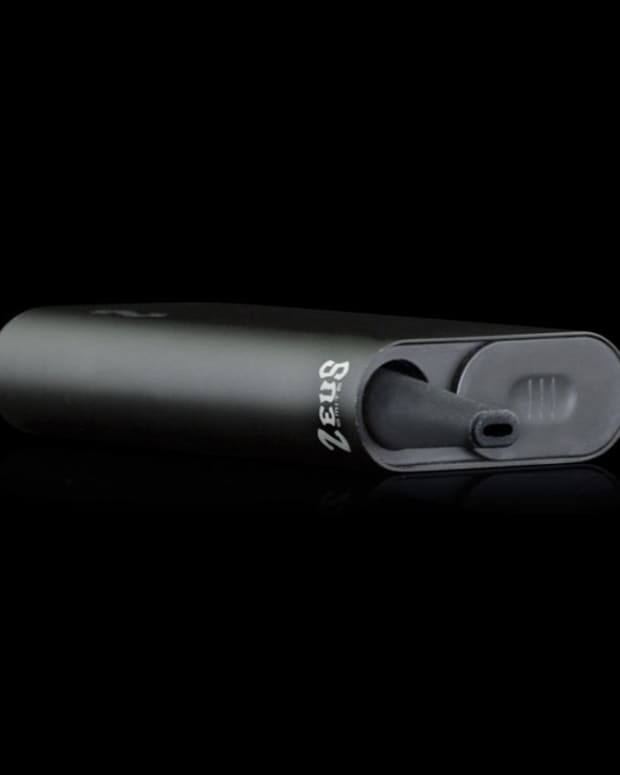 The Haze Technologies V3 Vaporizer is a portable unit that can easily fit in your pocket, backpack or messenger bag. Although portability is not the strongest feature, it&apos;s not all that cumbersome considering its features/functionality. 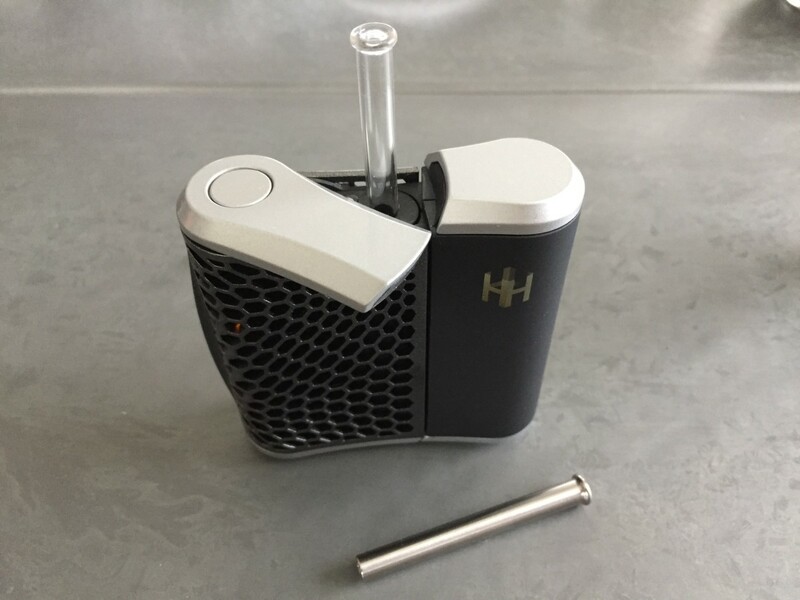 What&apos;s great about the Haze V3 is that it offers two bowls for both conduction and convection heating so you can use just about every format there is including dry herbs, concentrates, and e-liquids. 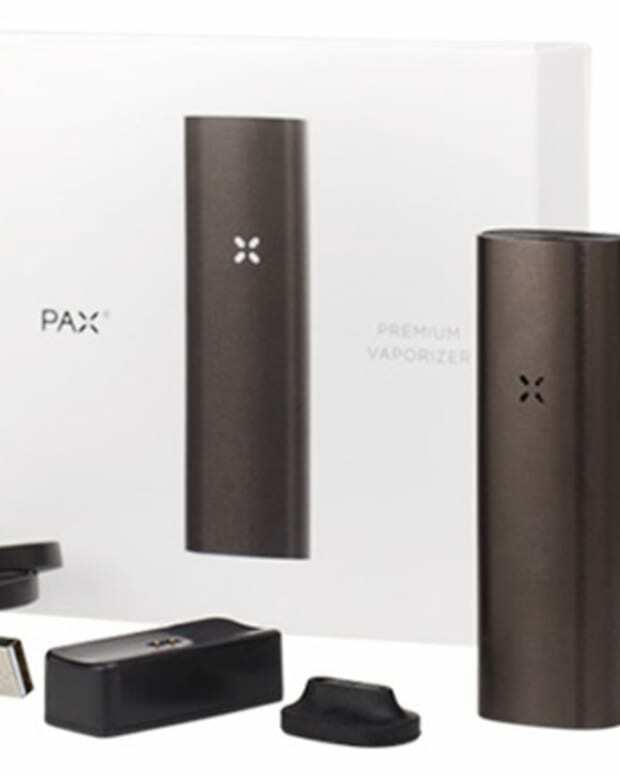 So you can pretty designate it as your primary device for everything if you don&apos;t have enough loot to buy more than one vaping device. 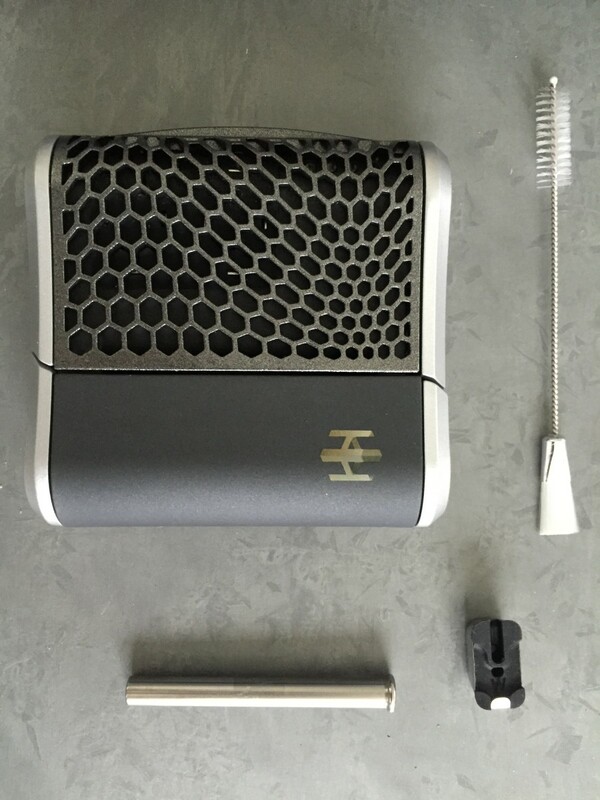 The Haze V3 comes with two mouthpieces (one glass, the other stainless steel) that conveniently slides down into the unit keeping it nice and safe. The unit is light at approximately 6.8 oz and is about the size of a deck of cards when fully compacted. When the mouthpiece is in use, it stands just over four inches tall. Your turn on the unit simply by flicking open the top, either on the left or right with a coinciding graphic to distinguish which bowl you are heating up. So, in theory, you could have both bowls packed with different formats and simply flick the switch to the other side to heat up the other chamber, this is one of my favorite features on the unit. 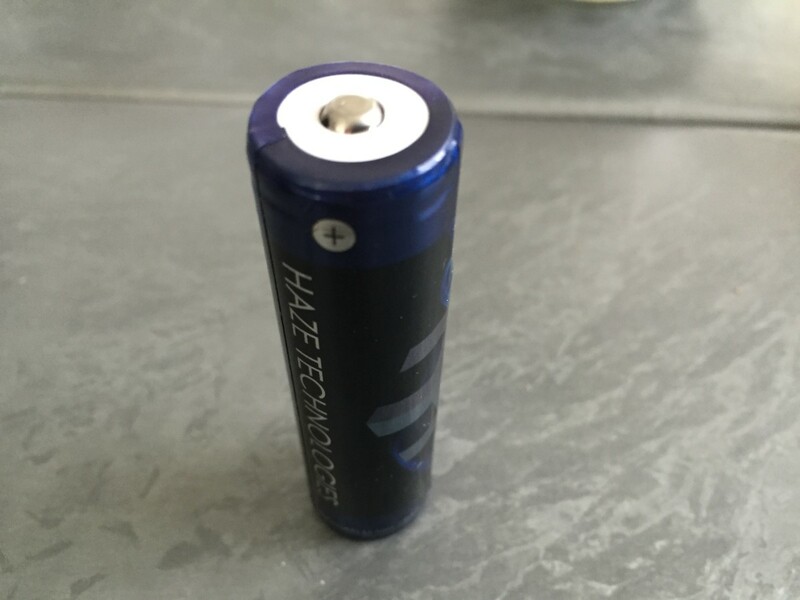 The Haze V3 heats up pretty quickly and starts up right when you flick open the top panel. The heat exchange system features both stainless steel chambers and vapor path. 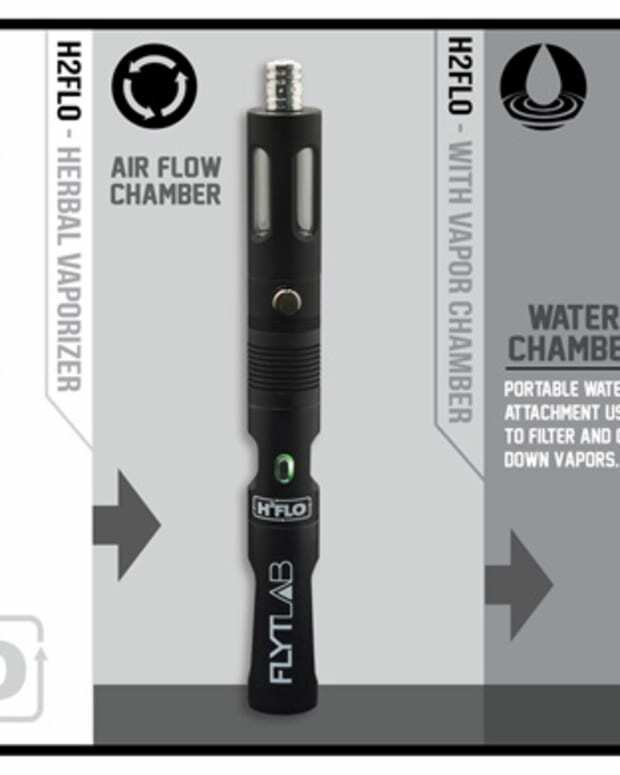 This patented system pulls in cool air externally that helps cool the vapor and also helps pre-heat the other chamber, which saves your battery power and extends vaping time. To change the heating settings you just push the button that will shift it to different temps, this is indicated by the yellow LED light inside the unit. It took the unit about a minute to heat up and delivered a very even vapor throughout my session. So back to the double chamber feature. 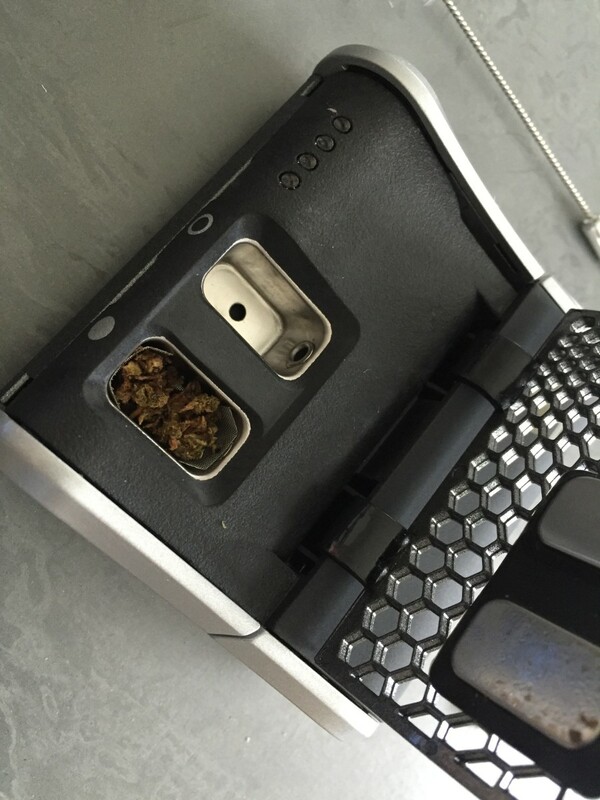 The unit comes with to all-purpose containers that you can use with dry flower, oils, and concentrates. You also get screens for herbs, convection, and conduction, so you are covered, pun intended. I stuck with flower and used the all purpose can with finely ground flower (this is pretty essential, never forget to grind and pack firmly). Haze also offers these containers for sale separately so you can pack more up for extended trips and just swap them out. Charging this thing up is pretty straight forward, the batteries look like giant AA&apos;s (you get two), and the unit comes with a dual battery charger that takes about four hours to charge them fully. The battery is an upgrade from the 2.5 unit and is a 3200mAh Li-ion 18650 3.7V in case you wanted to get nerdy on the battery, there you go. You can get about an hour or so out of one battery, and if you are just hitting it occasionally throughout the day, it should make it through with just one. If you&apos;re doing full sessions, then you&apos;ll get a little less than an hour if you use it straight through. Summary - This is a versatile product that brings a lot to the table and is a perfect unit for those that want something sturdy for at home or on the go. Two chambers, all format options, an incredible warranty, even heating and thick vapor this unit delivers bang for the buck. Probably a good idea to get the extra containers in case you are doing longer trips and want to have them packed up and ready to go. Highly recommended!